« Tonnes of apples – what to do with them? Spoorwegster, meaning Railway Star, is the latest chance apple seedling to enter nursery lists. It was spotted growing alongside a railway line in Limburg, Belgium by Joseph Grouwels, who took some cuttings and grafted new trees for his garden. Grouwels brought this brilliantly colourful apple to the notice of the NBS (Nationale Boogaartenstichting). They were impressed, propagated trees and included it in the list of varieties they sell. 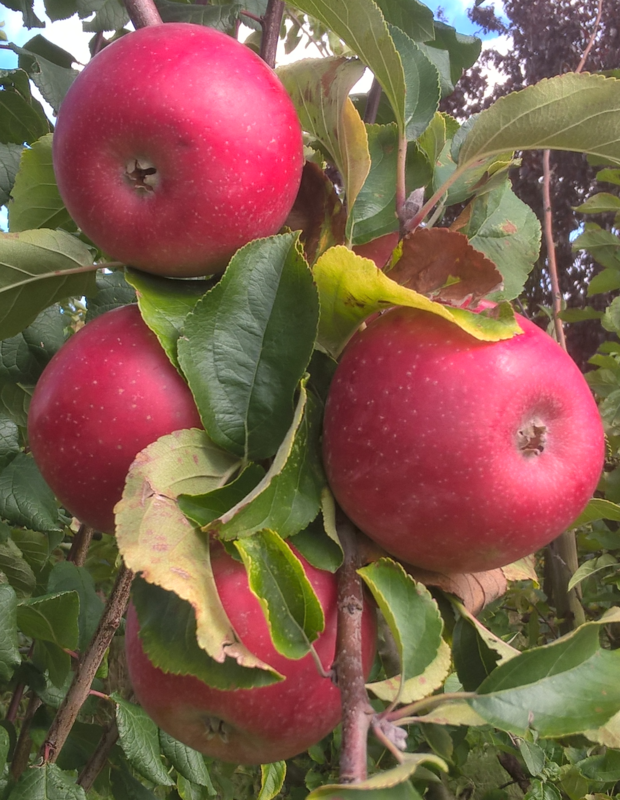 As well as being remarkable for its colour, Spoorwegster/Railway Star apple will keep well into the New Year, even in amateur stores. Probably a seedling of the famous Belgian apple Reinette Rouge Etoilé, which it resembles, except that it lasts longer and is a more striking colour. The star-shaped ‘dots’, lenticels, which give Reinette Rouge Etoilé its name, however, are less prominent. Its taste is said to be good. Very interesting! Do you know if these apples exist in the USA?